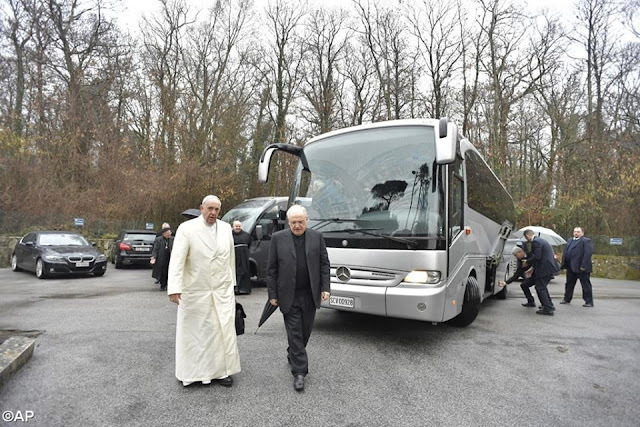 Spiritual Exercises: "Jesus Wants to Quench our Thirst"
Pope Francis and members of the Vatican Curia travelled on Sunday afternoon to the "Casa del Divin Maestro,” a retreat centre in Ariccia, located in the Alban hills just outside Rome. They are taking part in the week-long Curial Spiritual Exercises. For his meditation on Monday, Portughese Fr José Tolentino Mendonça chose the phrase that the Apostle John puts on the lips of Jesus in the final chapter of the Book of Revelation.